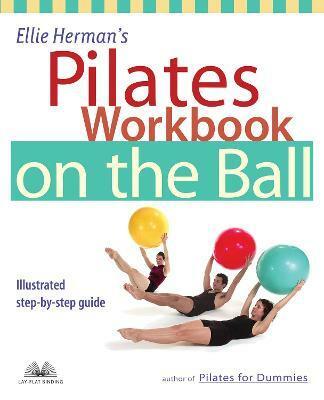 FOLLOW THE STEP-BY-STEP PHOTOS IN THIS BOOK TO QUICKLY AND EASILY LEARN OVER 50 PILATES-BASED MOVEMENTS PERFORMED ON THE EXERCISE BALL Specially designed by San Francisco--based Pilates expert Ellie Herman for her studio clients, the exercises in this book combine the powerful slimming and shaping effects of Pilates with the low-impact, high-intensity workout of the ball. Adding fun, variety and increased effectiveness, the ball transforms traditional Pilates moves into an unparalleled workout offering: *Aerobic conditioning *Muscle toning *Body sculpting *Fat burning *Improved posture *Mental concentration Each of the movements--from beginner bounces to super-advanced balances--are explained with clear captions and easy-to-follow photo sequences. A gymnast and athlete as a child, Ellie Herman was constantly doing cartwheels anywhere she could. Ellie went West for College, receiving a BA in Peace and Conflict Studies from UC Berkeley; her thesis was a dance-theater piece about the representation of woman's bodies in American society. While at Berkeley she also studied in the dance department which marked the beginning of her career as a professional dancer and choreographer. After graduating in 1987, Ellie moved to San Francisco and with her friend Carol Lloyd, formed the Flying Buttresses performance troupe combining dance, theater and visual art. She then became the choreographer for Elbows Akimbo, another collaborative multi-media troupe. She performed as a dancer with Harupin-Ha, a Japanese butoh company. Finally in 1991, Ellie formed a dance troupe under her own name; (Ellie Herman and Company) which garnered rave reviews in the New York Times and Village Voice after a tour to New York City. Ellie became interested in Pilates in 1988, after injuring her knee. She formed Ellie Herman Studios in 1993 in San Francisco. It has grown rapidly in the last five years, after she started training and certifying Pilates instructors.